February 2009. Children from across the globe have gathered at White Lodge, the home of the Royal Ballet School, for one of the toughest dance auditions in the world. Among the boys vying for a coveted place at the prestigious school is Lewis Charlton from Moresby Parks, near Whitehaven. The day-long audition comprises an interview, a physiotherapy assessment and a two-hour dance class. A week passed before the all-important letter arrived at the family home. “My dad opened it, I screamed and my mam cried,” Lewis recalls, smiling. One of only 12 boys and 12 girls to be offered a place at what is the leading classical ballet school in the UK, Lewis will swap west Cumbria for White Lodge in September. 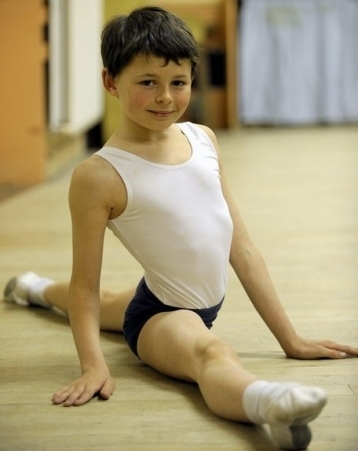 He will spend the next five years being trained in classical ballet and educated at the school, which has an idyllic setting in the middle of Richmond Park on the outskirts of London. The sixth year, at the upper school, is spent at the Royal Opera House in Covent Garden. Lewis will have just turned 11 when he goes, but says he feels excited and can’t wait to start. He has been dancing since he was four, but despite his talent he is well-mannered and modest. He smiles shyly as he counts on his fingers the number of dance styles he does: tap, theatrecraft, modern jazz, street dance and ballet – with the latter being his favourite, of course. As he goes to the other end of the studio to be photographed, his mum Susan talks about the pride she feels for her youngest son, but also how difficult it will be sending him off to school hundreds of miles away. “Going down to live there… my son’s 10. I couldn’t have done that at that age,” she says. “I hear people talking about how they’re going to miss their child who’s just gone to university, when they’re 18! But this is an opportunity we couldn’t say no to. This is the one to aspire to. The family does have experience of travelling around for Lewis’s ballet; two years ago he became a junior associate with the Royal Ballet School (a course for children aged eight to 10) and travelled to Manchester at weekends to be trained by a Royal Ballet School teacher. Being a junior associate stood him in good stead for gaining a permanent place at the school, but it doesn’t guarantee a place and children came from Hong Kong, Canada, China, the United States and across Europe to audition. Being offered a place is an amazing achievement. “I’ve been teaching dancing for 16 years and have seen some people go on to dance colleges and theatre schools, but nothing to this extent, and definitely not ballet,” says teacher Karen Starkey, who runs her dance school in Whitehaven town centre. “Seeing pupils go on to perform at places like the Royal Opera House is what every ballet teacher dreams of. “My classes are popular; lots of children do it for fun. Most little girls want to dance, because they see pop stars they want to emulate, and High School Musical has been a phenomenon. Lewis’s talent suggests dancing is in his blood, but it’s not a discipline that runs in the family. In fact his grandad is rugby legend Paul Charlton, a former Great Britain international. Dad Gary played professional rugby for many teams including Whitehaven and Workington and is now a rugby coach. Big brother Luke, 14, plays rugby and football. “It is a rugby tradition in the family, then out popped a ballet dancer,” smiles Susan, who works as a secretary at West Cumberland Hospital. “I did a bit of dancing when I was very young but that’s all. It’s just one of those things. One difference from Billy Elliot however is that Gary, a road worker for Amey, says he has no problem with his son’s choice of vocation. “I think it was more his grandad who wanted to get him into rugby, but this is what Lewis wants to do,” he says. Karen says she saw Lewis’s potential at his first lesson. And rather than being pushed into dance by his parents, he asked if he could go to a class. “When he started with me when he was four, I could see the physique was there, but also he had an enthusiasm for dancing in general,” she says. Karen adds: “From a west Cumbrian point of view something out of the ordinary doesn’t happen here often and for Lewis to get all the way to the Royal Ballet School is just so exciting. “It’s been a pleasure teaching him and it will be a big void in my life when he goes.